Lenovo Ideapad 110 is a sizeable machine with 15.6 inches display and is entirely made of plastic. It has a Lenovo logo on the top right corner at the back of the screen, on the front is a VGA resolution webcam and a microphone. The laptop weighs around 2.2 kg with a thickness of 22.9 mm. It comes with rubber feet on the base, giving sufficient space for aeration. The laptop’s keyboard is well spaced and comes with a dedicated number pad. Lenovo Ideapad 110 laptop is a perfect choice for the first-time shopper. It is ideal for working with word documents, watching standard definition videos, listening to music, playing Solitaire among other games. Lenovo Ideapad 110 has a great look, it comes all black in colour with a textured flap. It's all built with plastic but has that classy look. Lenovo Ideapad 110 has a 15.6-inch display with 1366 x 768 resolution. It has accurate colour reproduction and its viewing angles are perfect. Lenovo Ideapad uses a chiclet keyboard, above the keyboard, there is a speaker grille. On the right of the machine there is the DVD tray and on the left, you will find the power port, HDMI Out, LAN port, USB 3.0 port and an audio jack. Lenovo Ideapad 110 is backed up with a quad-core Intel Pentium N3710 processor clocked at 1.60GHz, with Intel HD graphics. The notebook PC comes with 4GB of RAM and 500GB of HDD-based storage. It comes pre-installed with Windows 10 and delivers well when it comes to basic tasks such as editing documents. Its audio output comes out clear from the built-in speaker while HD videos play smoothly. You can also get a Linux OS variant of the IdeaPad 110. Lenovo Ideapad 110 has a decent battery which lasts 3-4 hours on regular usage. It’s just the perfect laptop for home or school when travelling you need to remember to fully charge it and carry your charger. Looking for a Lenovo Ideapad 110 in Ghana? 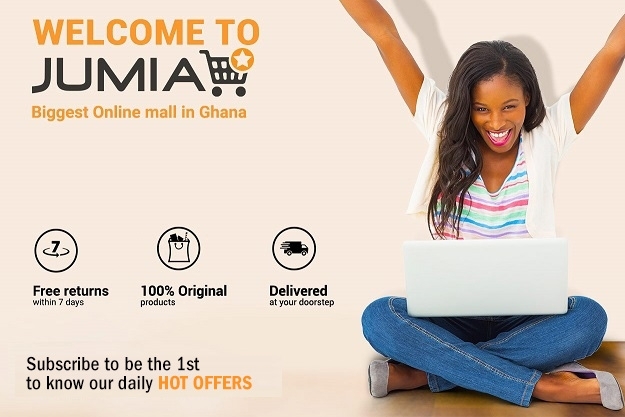 Shop online through Jumia Ghana, enjoy our great prices and amazing discounts on selected laptops. Pay for your laptop securely online.